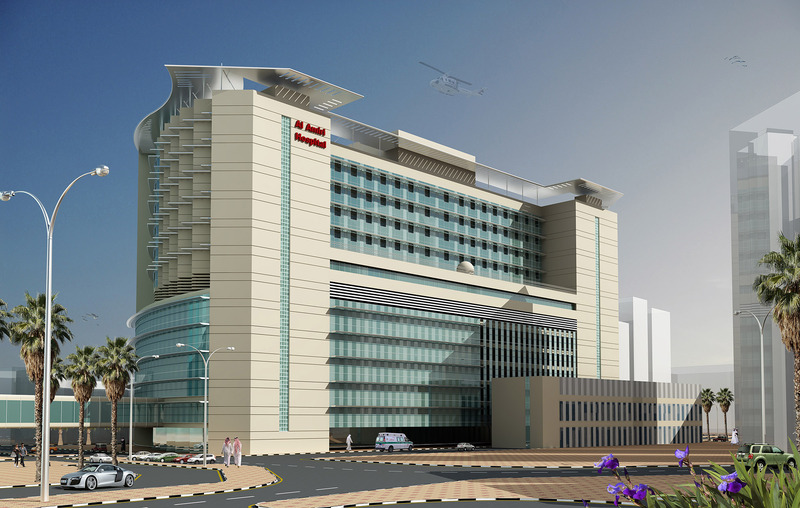 In October, 2010 Gulf Consult was commissioned by the Ministry of Health, Kuwait to undertake the space planning and conceptual design studies for a new hospital of 415 beds to supplement and be an extension to the existing Al Amiri hospital complex in Kuwait City. Located on a recently cleared plot of some 13,700 m2 lying to the east, it will be connected to the existing hospital at 2nd floor level by a fully enclosed air conditioned bridge link. Our commission also included preparing full documentation to enable this concept to be the subject of competitive design/ build bids.